Broken Beach is a remarkable viewpoint where an archway in an ocean-side cliff allows water to pour into this unique, enclosed beach. While you are not yet able to climb down to the beach itself, you can walk 360 degrees around it on the cliffs above. This location is drone heaven (we saw at least 4 of them) and with good reason, since the bird's-eye view of this place is other-worldly! Broken Beach is located on the west coast of Nusa Penida island, right next to Angel's Billabong and about 35 minutes from Kelingking Beach. The last 15 minutes of the drive here are really rough so take it slow and steady or hire a driver. 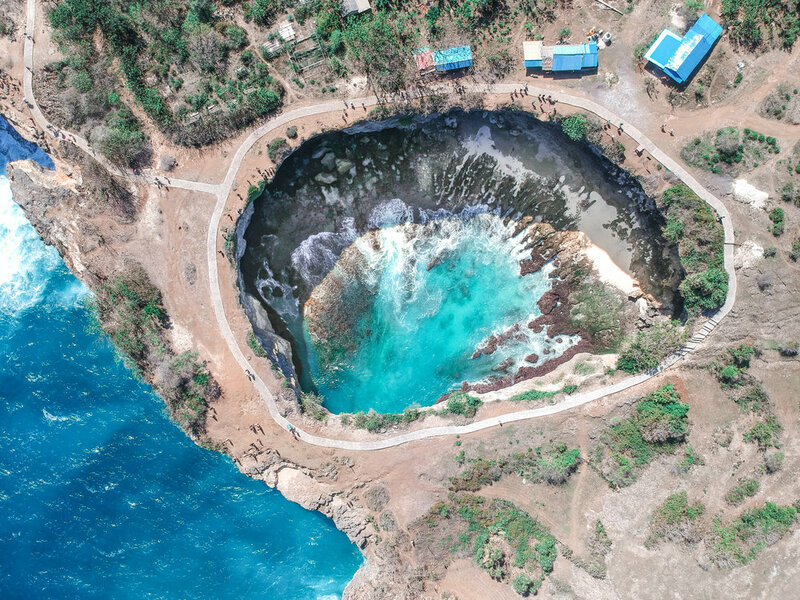 View our ultimate guide on Nusa Penida for tips on getting around the island. 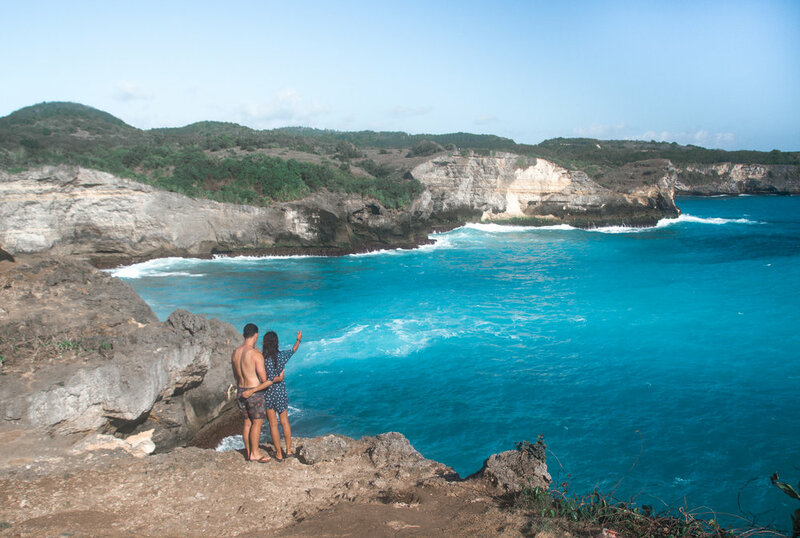 As one of the main stops on any Nusa Penida tour, you can expect Broken Beach to be fairly crowded during the day. If you want this place all to yourself you should plan to visit during sunrise or sunset. 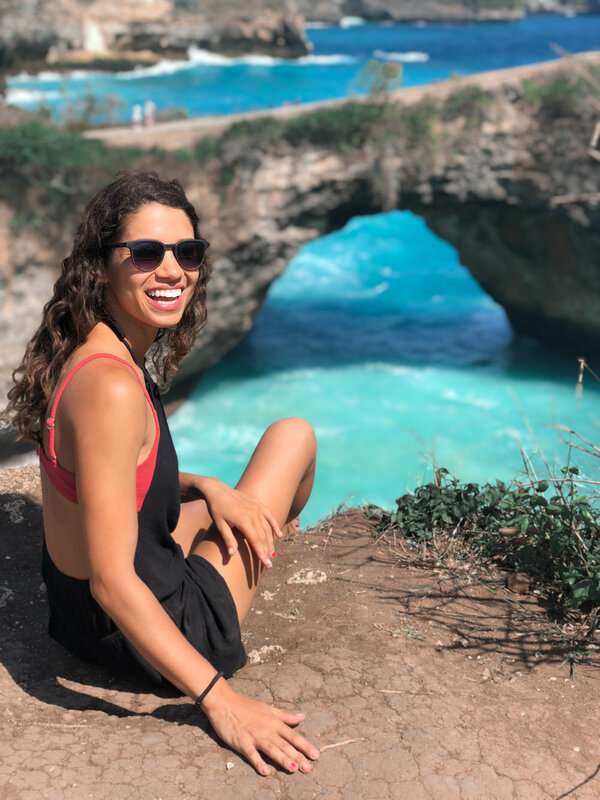 However, since it's also located right next to Angel's Billabong, you may want to time your visit with low tide so you can take a dip in the neighboring tide pool. The entry fee for Broken Beach is 5k IDR per person plus 1k for parking. This fee also gets you entry to Angel's Billabong, which is located in the same area. The food in this area is cheap and plentiful; expect to pay 45k for a Nasi Goreng and coconut combo. Broken Beach is truly a spectacular landscape. 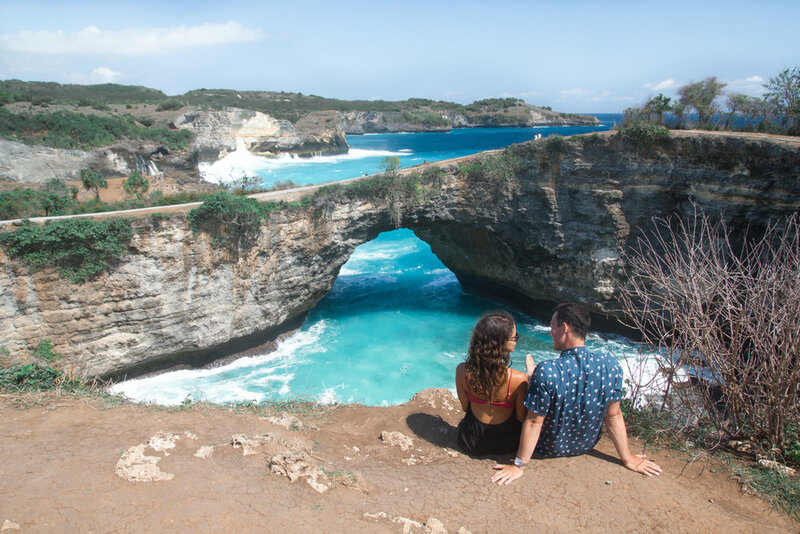 Rather than rushing in, snapping a photo and leaving, we recommend laying down a blanket on the cliffside, sipping on a coconut and enjoying the scenery (unless you're afraid of heights).